A large, face to face survey of 1,027 London Underground users in 23 tube stations by Survation has shown widespread concern about the threat of potential ticket office closures on the underground. 71% of London Underground passengers interviewed said they would be “quite concerned” or “very concerned” if their stations no longer had any manned ticket offices. Passengers were found to have little confidence in relying solely on automated ticket machines – 52% said that they had found themselves unable to buy tickets from machines in the past due to the machines being broken. 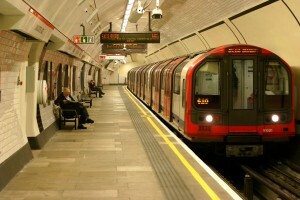 Among tourists travelling on the Underground, concerns were particularly strong; 81% said they would be “quite” or “very” concerned in case of ticket office closures, no doubt due to a reliance on the offices for general information and travel advice (which a third of tourists thought was the primary purpose of ticket offices). The survey also found that 49% of Underground passengers who were resident in Greater London would be “much less” or “somewhat less” likely to vote for a candidate for Mayor of London who went back on a promise to keep ticket offices open, as Boris Johnson pledged to do in his 2008 manifesto. That figure increased to 56% amongst those who had voted for Boris in the last election. Overall 71% of all passengers and 78% of regular commuters expressed the view that current fares on the London Underground were “too high”. Survation interviewed a sample of 1,027 passengers face-to-face, at 23 London Underground stations on behalf of RMT from 30th September – 05th October 2013. Full data tables and explanation of survey methodology can be found here.